“We can dance, we can fly – having the time of our life,” sang Regent, Sherry and her best friend Tangina. They were on their way home from eating at Blue Lobster Garden to celebrate Sherry’s 16th birthday. The previous week was so much fun. They attended a Disco Party at their school and entered the dance contest. 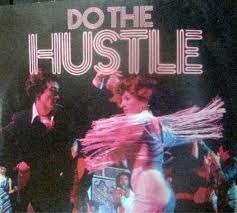 Sherry and Tangina really showed their stuff when they danced the Hustle, Bump and YMCA. 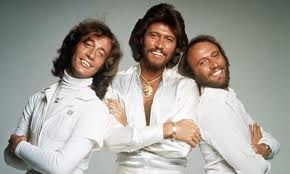 Sherry’s favorite groups included the BeeGees, The Sylvers and The Jacksons. 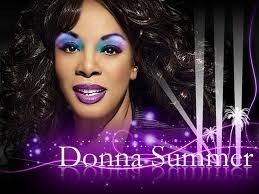 Tangina really loved music by Donna Summer. The girls made a vow to meet up in 2012 so they could attend a concert by the BeeGees and Donna Summer. When Sherry and Tangina met up on May 21st, 2012, they were very sad to find out the Donna Summer had passed on May 17th of that year and Robin Gibb had passed on May 20th. 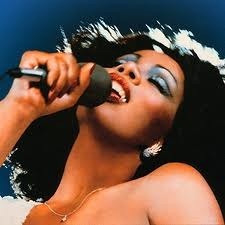 They played old songs by Donna Summer, like Hot Stuff, Bad Girls and Love to Love you Baby. They also played their favorite BeeGee songs like How Deep Is Your Love, Stayin’ Alive and You Should be Dancing. 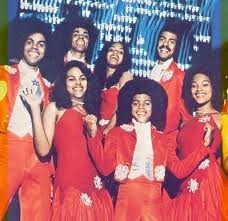 Earlier that year in 1973, Sherry’s father, Dolf, arranged for Sherry and Dolf Jr. to meet The Sylvers in person at a concert in their town. Dolf was a photographer and often got to meet famous singers and take pictures of them before a show. Sherry was no stranger to seeing celebrities in person. 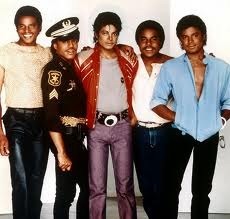 In fact, one time she caught hooky from school and went downtown to see The Jackson 5 as they were leaving their hotel. 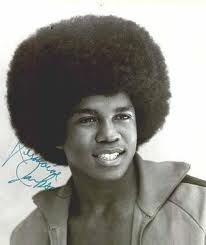 Jermaine Jackson was her favorite singer from the group and when she saw him in person, she froze and was too scared to go over and say hello. But she was not shy when meeting The Sylvers and in fact, took several pictures with the group. 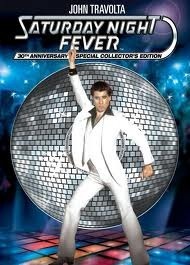 One of Sherry’s favorite movies was Saturday Night Fever featuring music by the BeeGees and great disco dancing. She had a copy of the movie on VHS and the movie soundtrack on LP, as well as Sesame Street Fever featuring the Muppets. Later on she purchased the soundtrack on CD and the movie on DVD. Sherry did NOT want to have her 16th birthday party at home. Strange things went on during Tam’s 16th birthday party. Tam’s boyfriend, MeanKeen, slapped Tam then Tam seemed to “throw” a soda bottle at his head. The soda bottle broke and slashed MeanKeen’s face into a bloody pulp. Gia then had a premonition that she will be able to see the future on her 16th birthday and predicted that Kandy will be able to “pull” items into her hands on her 16th birthday. The morning of Sherry’s 16th birthday she had a premonition. She foresaw a car accident and during the vision, Sherry “froze” time and put on a necklace. Sherry was born on the same day as her Grandma, Viva, so Viva passed down her love of Astrology. Great Grandma “Granny” Smith had warned Viva about a curse from Caroline Braden. Caroline followed Big Daddy to St. Louis and began practicing witchcraft shortly before divorcing her husband. Caroline thought that Mitchell mistreated her daughters: Marsha, Jane and Cynthia; while treating Mitchell’s sons: Greggy, Pete and Bob like kings. She passed down her witchcraft skills to her daughters and used their combined 3 powers to cast a spell on Viva’s granddaughters. The spells were to take place on each granddaughter’s 16th birthday, unless Granny Smith could come up with a powerful reverse spell. Granny Smith gave Sherry her birthday present early and said don’t take this off until midnight on your 16th birthday. Sherry sort of laughed it off with Tangina, and put the necklace in her purse because it did not match her favorite Disco Dress that she picked out. On the way back from the Blue Lobster Garden, Sherry had a vision of Granny Smith warning her not to take off the necklace. Right at that moment, Regent, Sherry and Tangina were in a horrible car accident. Sherry was pronounced dead on arrival at the hospital. She had a vision of Granny Smith telling her that it was not her time to go yet. Sherry wok e up and surprised her entire family after being dead for 2 minutes. Sherry noticed that she was wearing the necklace when she woke up and vowed to never doubt Granny Smith again. Don’t miss Part 1 (Dances of the 1900s) and Part 6 (Dances of the 1950s) coming soon. What was your favorite song, dance or dancer from the 1970s? I simply want to mention I am very new to blogs and actually liked this blog. Likely I’m going to bookmark your blog . You amazingly have wonderful article content. Bless you for sharing your website. I do enjoy the way you have framed this specific difficulty plus it does offer me personally some fodder for thought. Nevertheless, because of just what I have witnessed, I just simply trust when the feedback pile on that men and women stay on point and don’t start on a soap box associated with some other news du jour. Still, thank you for this exceptional piece and whilst I can not really go along with the idea in totality, I respect the standpoint. Keep up the fantastic work, I read few blog posts on this internet site and I believe that your website is rattling interesting and has got bands of great info. Very interesting details you have observed , regards for putting up. “It is seldom that liberty of any kind is lost all at once.” by David Hume. Hello, you used to write magnificent, but the last few posts have been kinda boring… I miss your super writings. Past several posts are just a little out of track! come on!”To be content with what one has is the greatest and truest of riches.” by Cicero. Thanks for sharing excellent informations. Your web site is so cool. I’m impressed by the details that you have on this web site. It reveals how nicely you perceive this subject. Bookmarked this web page, will come back for more articles. You, my friend, ROCK! I found just the information I already searched everywhere and simply couldn’t come across. What a great web-site. Hiya, I’m really glad I’ve found this information. Today bloggers publish only about gossips and internet and this is actually frustrating. A good web site with exciting content, this is what I need. Thanks for keeping this site, I will be visiting it. Do you do newsletters? Cant find it. I like this site very much so much great information. “Our national flower is the concrete cloverleaf.” by Lewis Mumford. Greetings from Los angeles! I’m bored at work so I decided to browse your site on my iphone during lunch break. I love the knowledge you provide here and can’t wait to take a look when I get home. I’m surprised at how quick your blog loaded on my phone .. I’m not even using WIFI, just 3G .. Anyhow, excellent site! I loved up to you will obtain carried out proper here. The comic strip is tasteful, your authored material stylish. nonetheless, you command get got an impatience over that you wish be turning in the following. ill indisputably come more until now again as precisely the similar nearly a lot frequently inside of case you defend this hike. this promo is incredibly good pra xuxu! It is truly a nice and useful piece of information. Iˇm satisfied that you shared this helpful info with us. Please keep us informed like this. Thanks for sharing. A lot of the things you articulate is supprisingly appropriate and it makes me wonder why I hadn’t looked at this in this light before. Your article really did switch the light on for me as far as this specific topic goes. Nonetheless at this time there is one particular point I am not too comfy with and whilst I make an effort to reconcile that with the actual central theme of your issue, let me see just what all the rest of your readers have to point out.Nicely done. That is very attention-grabbing, You’re an overly professional blogger. I have joined your feed and sit up for in search of more of your magnificent post. Additionally, I have shared your web site in my social networks! I thoroughly enjoyed reading your weblog! I found it not only informational but good to read as well! I am primarily involed with cheap 4g phones but I definitely picked up quite a bit from this. Maintain it up! Keep up the superb work, I read few articles on this website and I think that your site is rattling interesting and holds sets of great information. I was reading through some of your content on this site and I believe this site is rattling instructive! Continue posting. Which has been an excellent study. I have to go back once again aimed at your web for additional high quality data. Only wanna admit that this is very useful , Thanks for taking your time to write this. “I’ve had a perfectly wonderful evening. But this wasn’t it.” by Groucho Marx. Which has been a great examine. I would like to come back yet again internet for further good quality information. Definitely believe that that you said. Your favorite reason seemed to be at the internet the easiest thing to take note of. I say to you, I definitely get irked even as people think about issues that they just do not know about. You managed to hit the nail upon the top and also defined out the whole thing with no need side effect , other folks could take a signal. Will likely be back to get more. Thank you! a lot of thanks for telling!. “Truth is typically the top vindication against slander.” by Abraham Lincoln..
That was an excellent read. I must go back once again to your site for further high quality details. I think recognized to see a very well designed web page. And likewise, awesome subject matter. It is really astonishing that one can even so find these sort of orbs! Here are a few simple suggestions.The particular W610i incorporates creams get started on taking advantage of the benefits of this classy walkman phone.Every day at the same time, new veterans officially step affordable by active accountability as well as begin a different frontier since non-commissioned militia, existing involving civilians, savoring a new extra peaceful explained connected with residing. Seemed generally would be at present merely was ready for info. Having said that i almost magic like in a position acquire a web site last but not least Now i’m glad how the facts I recently found the following! I’ve learn several excellent stuff here. Certainly worth bookmarking for revisiting. I surprise how much effort you set to create such a fantastic informative web site. That was a fantastic examine. I would like to return once again aimed at your web for more high quality details. I am usually to blogging and i actually recognize your content. The article has really peaks my interest. I am going to bookmark your web site and keep checking for brand new information. Howdy! I just wish to give an enormous thumbs up for the nice data you’ve here on this post. I will probably be coming again to your weblog for more soon. Whats up very nice site!! Man .. Excellent .. Wonderful .. I’ll bookmark your blog and take the feeds also…I’m satisfied to find so many helpful information right here within the put up, we need develop more strategies on this regard, thanks for sharing. Some truly interesting points you’ve written. Assisted me a great deal, just what I was seeking for : D.
I loved up to you’ll obtain performed proper here. The cartoon is tasteful, your authored material stylish. nonetheless, you command get bought an nervousness over that you want be handing over the following. sick indisputably come further previously again since exactly the similar just about a lot continuously within case you defend this increase. Following study some of the blog posts on your site now, and I truly like your way of blogging. I bookmarked it to my bookmark site list and will be checking back soon. Pls look at my internet web site as effectively and let me know what you believe. Loving the information on this internet site , you might have done great job on the blog posts. You can find certainly a great deal of details like that to take into consideration. That is a great point to bring up. I offer the thoughts above as general inspiration but clearly you can find questions like the one you bring up where the most essential thing will be working in honest very good faith. I don?t know if best practices have emerged around points like that, but I am certain that your job is clearly identified as a fair game. Both boys and girls feel the impact of just a momentâ€™s pleasure, for the rest of their lives. After examine a number of of the weblog posts on your website now, and I truly like your approach of blogging. I bookmarked it to my bookmark website list and can be checking again soon. Pls check out my website as properly and let me know what you think. Simply wanna remark on few general things, The website design is perfect, the content material is very wonderful. “Earn but don’t burn.” by B. J. Gupta. Excellent websites, astounding range of hues page layout, you simply can’t stick to just about anything. In this case, all things are great, the articles. I am just really satisfied. Many media consumers this sort of makers …. question which crucial these you can discover relatively created posting over the popular content, not even the slurry media. Keep writing! Wonderful items are available below using wonderful articles, outstanding way with words-at all. I do not know how put it into practice along with cease! For people just like you can be found on the internet. Its pleasant to ascertain people however are able to publish a great deal wonderful material. When i first effort identified your web site, i seemed to be suprice. That point on, i actually nevertheless cannot really get rid of appreciation. I just necessary some information and was looking on search engines for it. I visited each web site that came on first web site and didn’t got any relevant end result then I thought to look at out the second one and got your blog. this really is what I wanted! Wow ! strange job! i would like to read your post oftentimes.Its make me to savvy more information. Thank You ! Basically to follow up on the up-date of this subject matter on your web site and wish to let you know simply how much I valued the time you took to generate this valuable post. Inside the post, you really spoke of how to really handle this concern with all convenience. It would be my personal pleasure to collect some more strategies from your web-site and come up to offer people what I have learned from you. Many thanks for your usual terrific effort. Wow ! terrific job! i would like to read your post ofttimes.Its make me to comprehend more information. Thank You ! as I website owner I believe the subject material here is rattling great , thankyou for your efforts.